As the crypto market has fallen in 2018, one sector has held onto its gain more closely. And that’s coins in the exchange market—likely gaining off of the selling volume in the bear market. BNB, KCS, and BIX are three of the best cryptocurrency exchanges that offer some form of dividends. We’ll examine each in this article. Binance is one of the most popular cryptocurrency trading platforms in 2018, and it’s the world largest cryptocurrency exchange by trading volume. The platform is home to cryptocurrency-to-cryptocurrency traders. In other words, it does not accept fiat currencies, such as EUR and USD. The company’s headquarters were originally located in China before it was moved to Hong Kong due to strict cryptocurrency laws in China. Binance’s main website offers support in English, French, Chinese, Russian, Spanish, Japanese, and this has enabled it to expand its reach to the international market. What most people might not know is that the exchange also has its own native digital coin called BNB. Currently, there are 95 million BNB tokens in circulation, according to Coinmarketcap.com. 100 million were sold during the ICO. In total, there will be around 200 million tokens available. The Binance exchange is similar to other cryptocurrency exchange platforms out there like Kucoin and Bibox. It uses a Binance’s matching engine to match cryptocurrency buyers and sellers. Once the exchange is processed, each trader receives what they requested, and the platform receives a small commission for providing the service. Binance has created its own patented trading engine that can currently handle 1,400,000 orders per second. That makes it the fastest cryptocurrency exchange in the market today. And, that explains why so many traders have made the switch from other exchanges to Binance. One main advantage that Binance has over its competitors is that all major coins are supported. Also, trading fees are extremely low – just 0.1% on each trade. 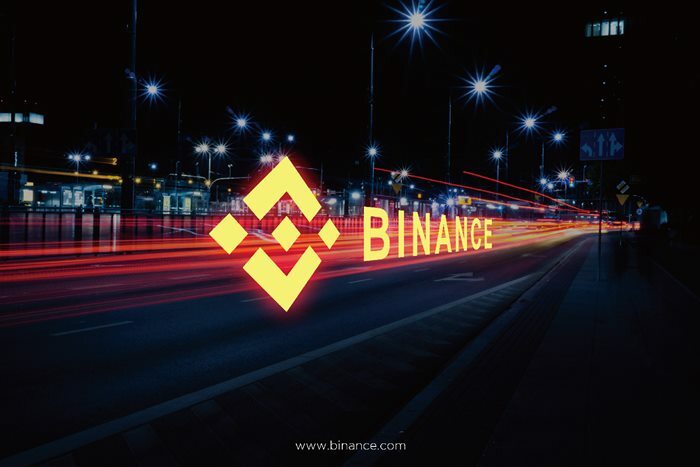 In addition, you can further reduce your trading fees by using the native Binance currency – BNB. Kucoin is new on the scene, but do not let this fool you. They took security and protection seriously and are on track towards making a big hit in the next few years. KuCoin, similar to Binance, pays bonuses to its investors. Every day, the exchange distributes 50% of the trading fees between investors who hold their native tokens. The platform retains only 10% of trading fees. KuCoin has managed to gain immense popularity in the cryptocurrency space and aims to be one of the top 10 cryptocurrency exchanges by 2019. KuCoin is available to users around the world and provides a variety of trading pairs such as BTC/LTC, ETH/BTC, BTC/KCS/ BTC/RPX, BTC/NEO, BTC/DASH, etc. It should be noted that you cannot buy initial cryptocurrency on the KuCoin exchange. KCS in their account (called KuCoin Bonus) and 40% as Invitation Bonuses. Trading and withdrawals have low commissions, with zero deposit fees. Trading fees are calculated at 0.1% based on the currency purchased. As for withdrawals, some are exempt from taxes like NEO and GAS, while others have low fees such as BTC at 0.0005 and ETH at 0.01. When you withdraw less than 100,000 times the current rate, your withdrawal will be processed within a few seconds. Larger quantities will require more time. Bibox Token works similar to Binance Coin or KuCoin Share – token holders benefit from a 50% reduction in the first on Bibox trading fees, and 25% in the second year and so on. Bibox native token (BIX) is an ERC-20 token that runs on the Ethereum blockchain. It was founded by Chinese blockchain giants – Huobi and OKcoin core team. The team includes early Bitcoin adopters, enthusiasts, Venture Capitalists, professional security traders, high-tech Angel Investors, and established serial entrepreneurs. The BIX platform is based on AI & Big Data. It has taken a unique strategy to succeed. It is quite unclear how the exchange integrates artificial intelligence into their system. Bibox allows participants to trade crypto with additional features. It even allows professional traders to predict trends. This is an important idea as it helps minimize most of the risks that have to do with the crypto market’s high volatility. The coin is currently traded on the Bibox Stock Exchange and has three convenient trading pairs; USDT, ETH, and BTC. Although it is only less than a year old, BIX has shown its potential by reaching a record high of $4.08 US in December last year. However, this has been more than halved since the date of publication. Whether the token will be successful remains to be seen. BNB, KSC, and BIX are three great exchanges with almost similar characteristics. All exchanges have their own native token that shares their revenue with their token HODLers. In our opinion, all three exchanges are fairly similar. We think it is good to have an account on all of them. However, the discount structure of BNB and BIX gets less attractive on a yearly basis. As always, do your own research before committing to any serious investment decision.